It's soon to be a new year and maybe you are looking for new ideas...is your school going 1:1? Do you have access to a set of chrome books or iPads? 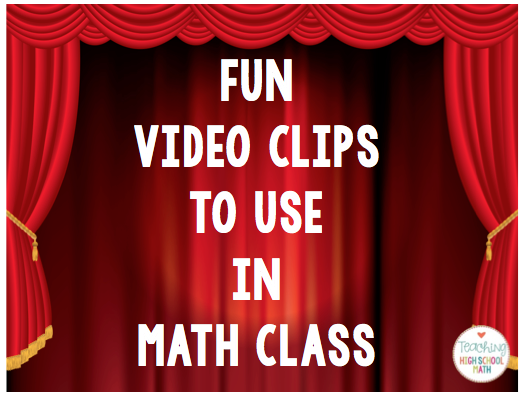 If you do, you might like to start using some interactive activities that will allow you to use no (or at least less!) 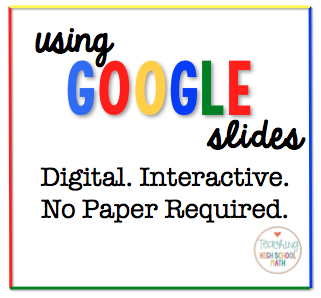 paper in your classroom. This can be a slow process. At the school where I teach, we spent an entire year preparing for students to each come to school with their own iPad. Then, we spent an entire year learning about apps we could use in the classroom. This year, our second with 1:1 iPads, is being spent working on integrating the iPads into the classroom environment. Not everything has to do with apps...how can you use the iPad or computer to REPLACE or ENHANCE some learning activities. It doesn't have to happen all at once. Take a lesson or two that you would like to explore using technology to teach. Try that...reflect, analyze, reach out to other friends using technology in the classroom, what worked, what didn't, try again. 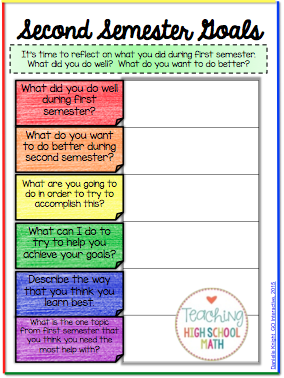 I am going to start the year in my classes with asking my class to reflect on their First Semester and then to think about what they would like to accomplish for second semester. This is a great activity which I often don't do when I think about all of the paper this generates...I want to read what every student has to say about it, but when I think about how nice and clean my desk is right now and what it will look like after I collect that paper from every student...UGH! 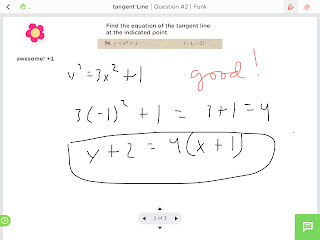 As an added benefit, I can read the student's responses right on my iPad...I can read them while I am waiting for my son at band practice or my daughter at gymnastics...Yay! So this year, I am going to have students fill out their own reflection sheet on their iPads, or at home on their computer, and ask them to turn it in to me digitally! We use the Learning Management System called Schoology, but you could have the students submit through other systems as well such as Showbie or even through email. Yay...no paper! 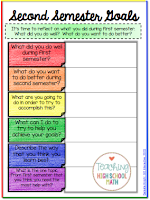 Here is what my reflection sheet looks like and a link that you can check out at my TPT store. (template courtesy of Danielle Knight - Study All Knight). 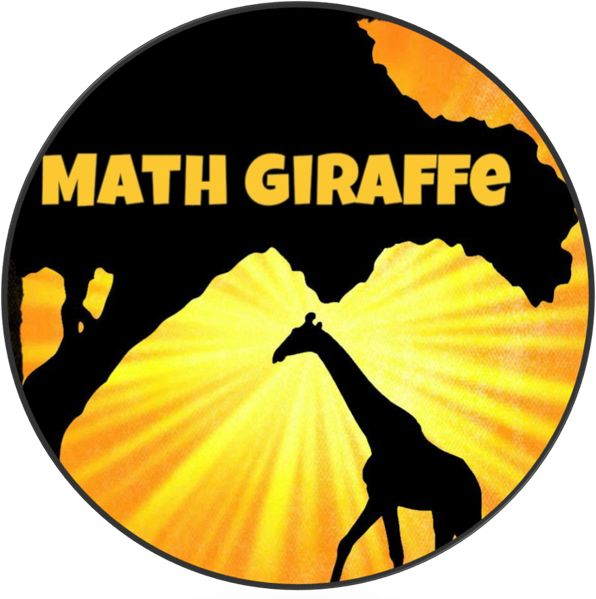 I know everyone isn't a math teacher out there, so check out some of my friends' products and blog posts about Digital Interactive Products. If you need more information about using digital products in the classroom, be sure to read the blog posts below! Do you ever find the perfect idea for a topic just AFTER you have finished teaching it? Me too! 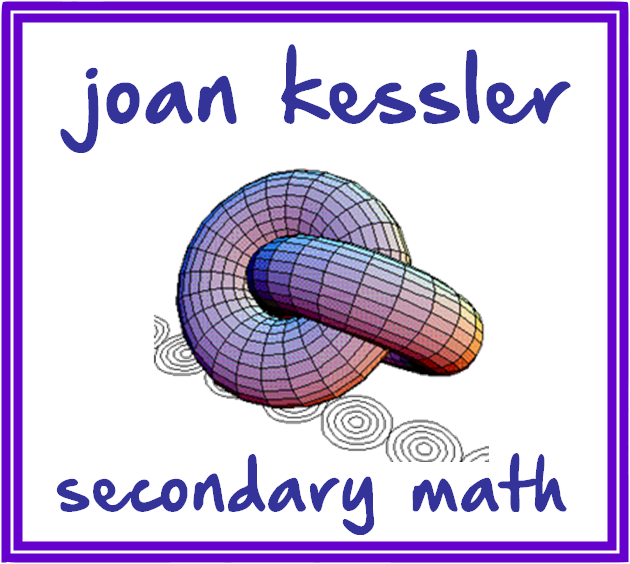 This isn't really a blog post, it is a collection of ideas for Desmos or Geogebra that I find that I want to use in my own classroom. Feel free to click through the links to check out what I am finding! Check back as I will be adding to this list. 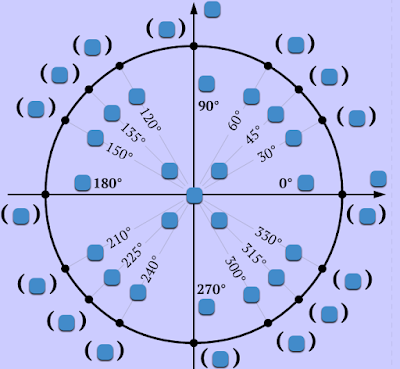 4) This is a blog post that explains why we use radians instead of degrees in calculus. 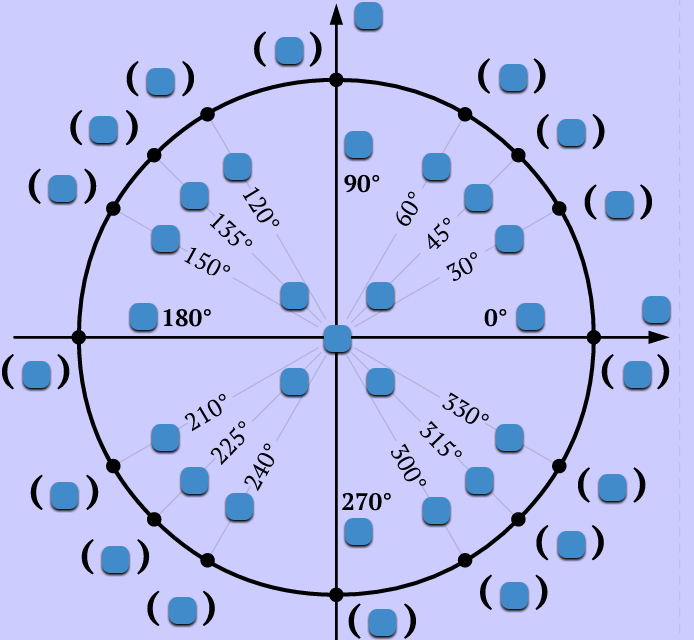 Why do We Use Radians? 1. Using a compass, make a circle on this sheet of paper. 2. Measure the length of the radius and measure a piece of yarn to that length. 3. Using that yarn, lay the yarn on the circle and mark the circle arc that is one yarn's length. 4. Using a protractor, how many degrees (approximately) is this? 5. Now, continue to measure the circle using your yarn. How many yarns (radii) make up a circle? Sometimes there are just things that must be memorized. My students drive me nuts because the JUST.WON'T.MEMORIZE. Here is what the book looks like after it is printed - notice...only one piece of paper used! Here is a picture that shows the size of the book after it is folded. Using Google Slides in my classroom has been an awesome addition to other technology activities that I have been working to incorporate. I have wanted to try working with interactive notebooks in my high school math classroom for a super long time. But, I just could not muster up the energy to try all of the cutting, gluing, and cute marker writing that I see on lots of other people's blogs. I see the value in it, and think at least some of my students would enjoy it. But the TIME involved in the cutting and gluing just seemed like a lot to spend. I know it works for people, and I am glad about it, but for me I just haven't been able to do it. There are apps available that allow students to move such items (for example, Stick Around), but nothing that I found that was going to work exactly for me. 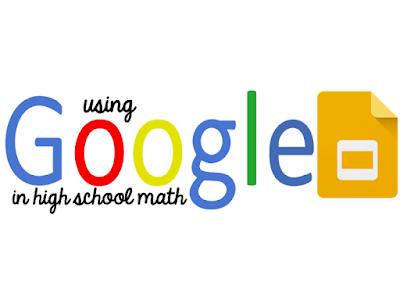 I need math notation and I need the ability for students to graph things and type equations. So, after thinking and thinking about it...I went to my friends online and I found that Danielle Knight (Study All Knight) and Jean Adams (Flamingo High Math) were thinking along these lines as well. 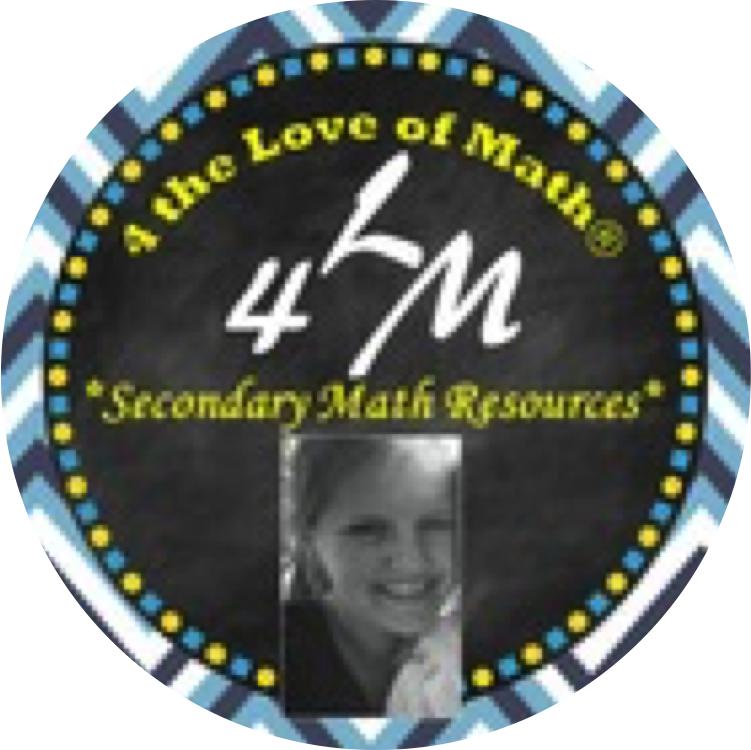 Danielle has some ELA materials available for Google Drive and Jean Adams has some math activities available for use with Google Drive - check them out! I decided to give it a try...could this type of activity be valuable to the students in my math class? The first thing I tried was an activity in my calculus class. 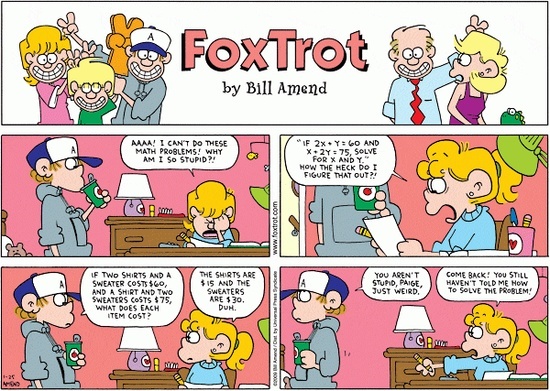 They had real difficulty finding the derivatives of trig functions. 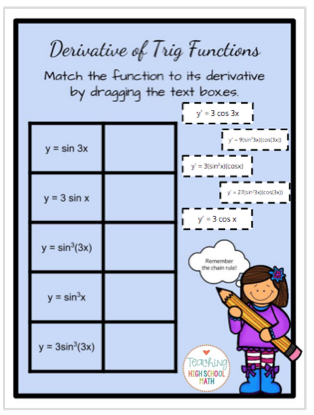 I thought if I showed them some of examples of functions that looked similar but that had different derivatives, it would encourage them to start looking for the differences in the original functions. 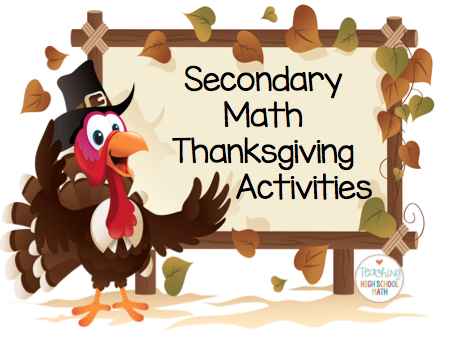 This activity worked well...I am going to try to make more activities like this...stay tuned! Thanksgiving is over and it's time to turn our thoughts to Christmas! 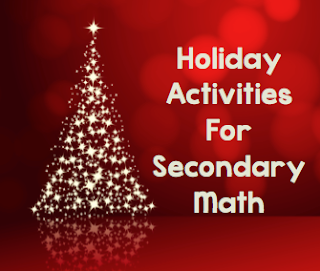 Everyone knows that kids are excited about Christmas, but we need them to keep their minds on math!!! 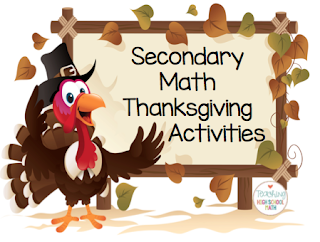 What kinds of activities can you use? Check out these 35 activities below. This happened in calculus class the other day...we found the derivative of something involving a trig function and then had to find the value of sin (π/4) in order to finish the problem. I said ok what is the value of sin(π/4) and I got wildly differing answers including 0 and 1. That drives me absolutely nuts...it shows absolutely no understanding whatsoever. Don't get me wrong, I'm not blaming anyone...it wasn't the precalculus teacher's fault - I'm the precalculus teacher this year and I totally get the struggle! 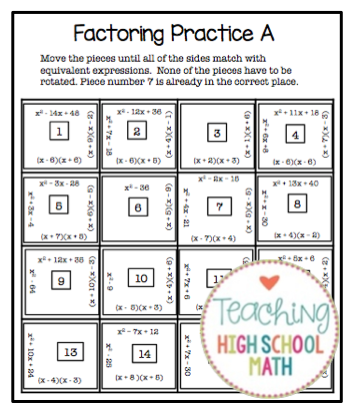 But, I know the students need more practice...see the linkup below for even more options. Halloween...over already...time to get ready for the next round of holidays! 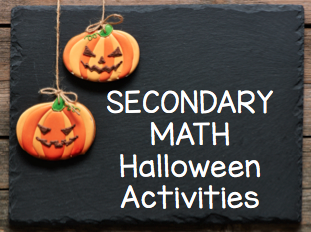 Try one of these activities this year! Do you integrate technology into your classroom? Are you a 1:1 iPad school? If yes, do you wish you could find an app for your students to use that caused them to say, "I love this app!" And "Can we use this app every day?" 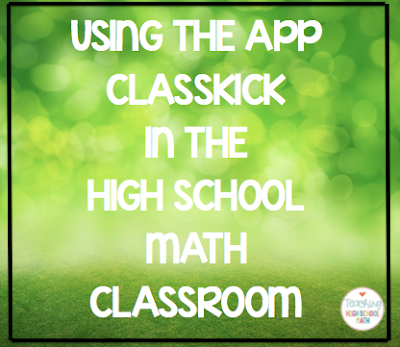 Let me tell you about the app Classkick. When using this app, you can see everything your students are doing on their iPad in real time. You can give them feedback in real time. Best of all, you can give them a virtual sticker if they get the problem correct! 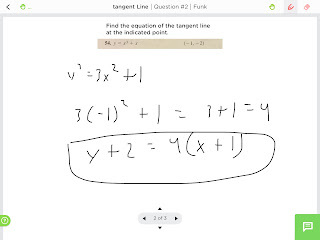 Here is a screenshot of a problem I gave to my calculus class recently. 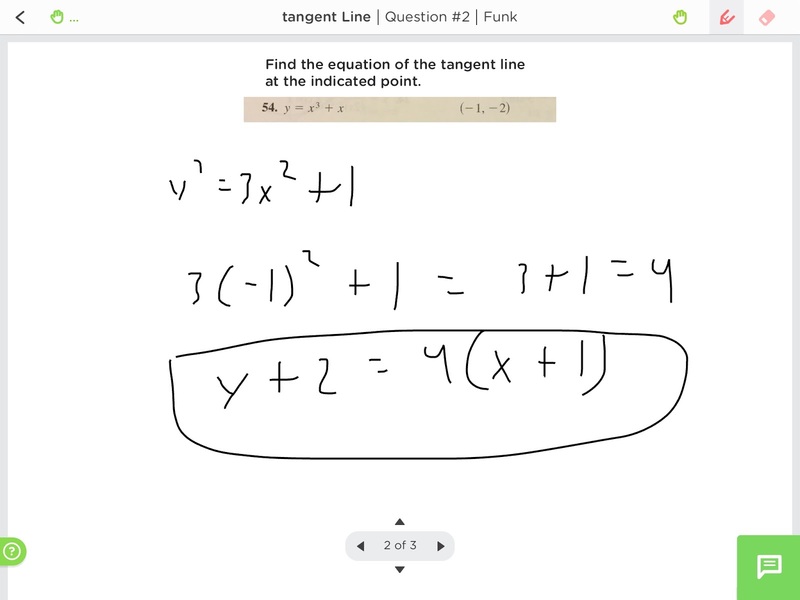 Here is a screenshot of one of my students' work that he did right on the iPad. 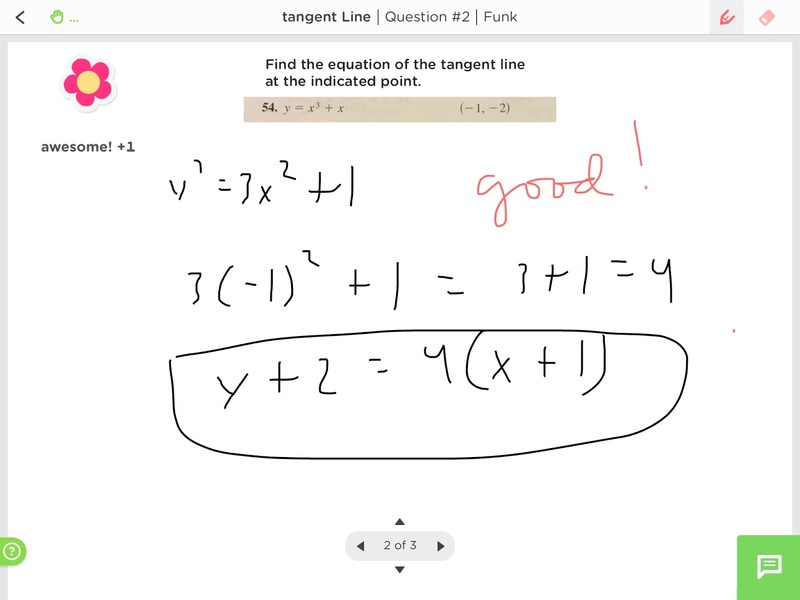 Here is a screenshot of the sticker he got when he got the problem right and you can see where I wrote Good on his work. Beware: Once you turn the students loose with this app, their answers will come quickly and you need to be ready. Once someone gets a message from you, or a sticker, they will all be calling out for you! 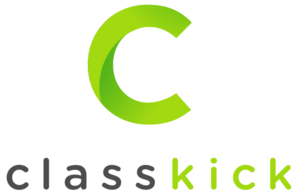 Classkick provides a feature so that students can virtually raise their hand for help or ask you to check their work. 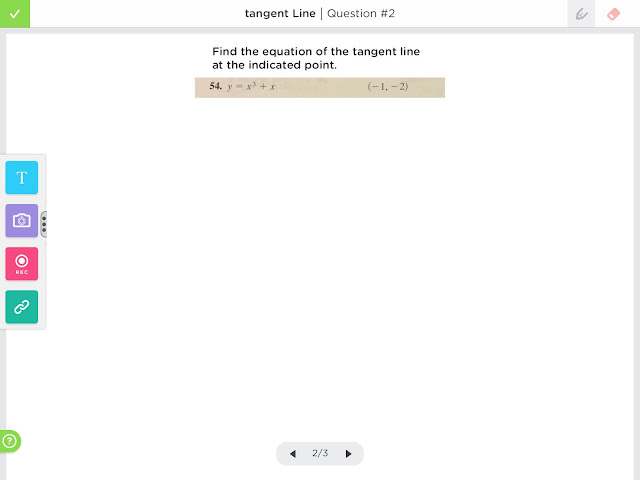 They can also ask another student for help...however I haven't experimented with that feature yet because I was a little worried about what one student might write on another students' screen. Depending on your class, this might be a great feature for you. 2) Volume of a Cylinder - Phineas and Ferb - 0:15 - Phineas and Ferb discuss the formula for finding the volume of a jar of jellybeans. 3) Pythagorean Theorem - Simpsons on the Pythagorean Theorem - 0:08 - Homer states the Theorem incorrectly. 5) Newton vs. Leibniz - Merry Newtonmas - 1:09 - Big Bang Theory - Sheldon wants to hang a Newton ornament on the tree. 6) Crickets Chirping - The Jiminy Conjecture - 2:47 - Big Bang Theory - Sheldon counts the number of chirps of a cricket and is able to determine the type of cricket. 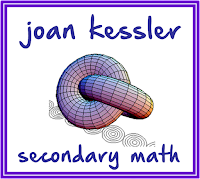 This year I am teaching Pre-Calculus - Yay :) I have taught the course before, but it has been several years ago. 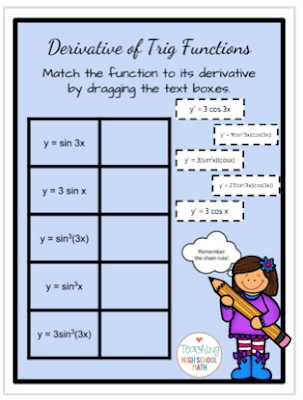 We are going to be working on analyzing functions soon, so I thought I might do a round up of activities/lessons/worksheets that I have found that look like they might be good to use in class. 1) Analyzing Functions from Graphs and Tables - This is my own set of worksheets that I made this summer once I knew that I was going to be teaching this course. This set contains 7 worksheets. Worksheets 1 and 2: Students will work with a single graph and answer questions about function values, where a function has a maximum or minimum, what the maximum or minimum value is, and where a function is increasing or decreasing. Worksheets 3 and 4: Students will be given two different functions on a single graph. 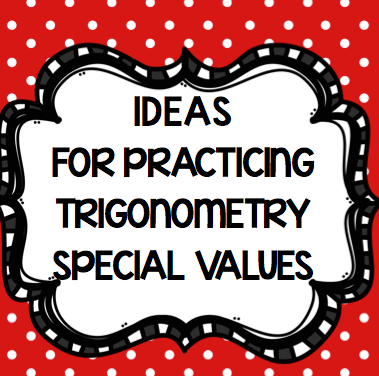 Students will work on finding values of things like f(x) + g(x); f(x) – g(x); (f(x))(g(x)); f(x)/g(x); and combinations of these functions. Worksheets 5: Students will be given two different functions on a single graph. 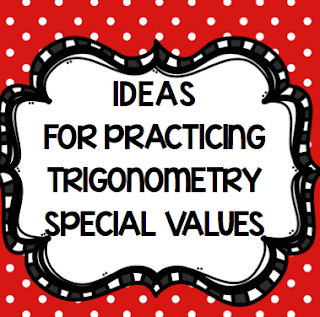 Students will work on finding the value of the composition of the two functions. Worksheets 6 and 7: Students will be given a table with values for f(x) and g(x). Students will use the table to find the value of the composition of functions. Would you like to see a sample page from this packet? Here is a link to the first page [FREE] - if you find it useful, I hope you might leave a comment on this post or a rating on TPT :) FREEBIE! 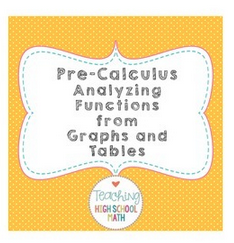 2) Next up from my friend Jean Adams at Flamingo Math - Here is a Functions and Graphs Stations Activity. You can use this activity at the end of your unit - students love getting up and moving around the classroom! 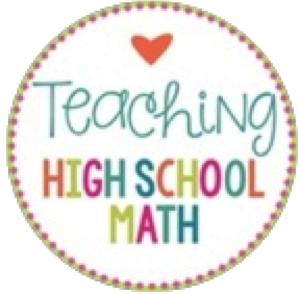 3) Do you need help teaching function notation? Here is a link to a blog post from my friend Karrie at Mrs. E. Teaches Math How I Teach Function Notation. Need to follow up? 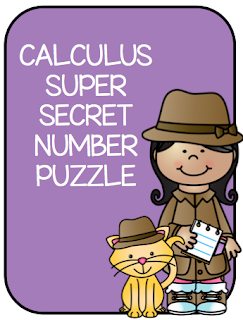 Try this maze with Operations on Functions. Congratulations to the winners of our STEM Teachers of TPT Giveaway! 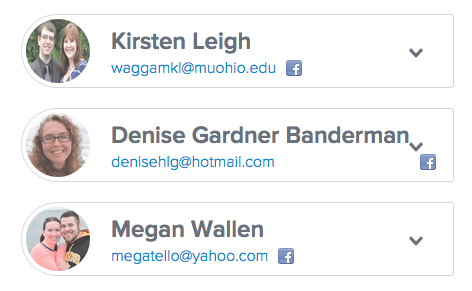 Kristen and Denise won the product giveaway and Megan won the $10 TPT Gift Card. You all should be receiving an email from me with your prizes! Secondary STEM Sellers Back to School Giveaway! So, a group of my favorite Secondary STEM Sellers have gotten together to put together a great giveaway package for you! Two people will win this fabulous package :) and one lucky person will win a $10 TPT Gift Card! Get chances to win by following each of our TPT Stores. Enter Below! 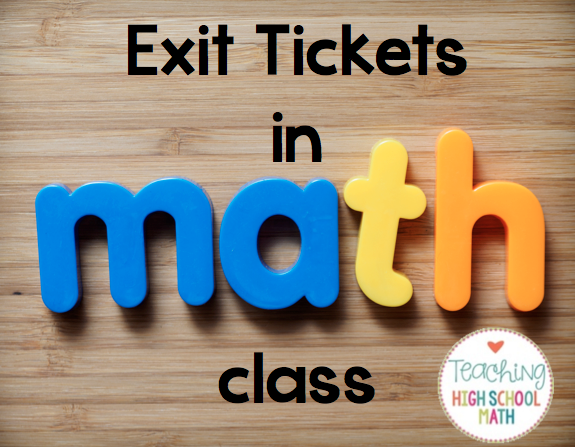 1) I think the biggest, most important thing that exit tickets have provided me is something worthwhile for the students to do the last 5 minutes of class. Sometimes my lesson doesn't get me all the way to the bell and having an exit ticket ready to go keeps my class busy all the way until the end of the period. 2) Using an exit ticket (or quick check as I sometimes like to call them) gives me a really quick way to assess how students are doing on a small slice of material. I don't know about you, but I usually do not have the time to grade daily homework. I JUST CANNOT. DO. IT! But, seeing a small stack of one quick problem to grade for each student is something that I can definitely do in just a few minutes. It is truly eye opening to get a response from each student. You really thought that everyone understood everything you were talking about, but when you get the quick check you can see that many students have understood the concept, but others are still struggling. You know who to work with during the next class period. Not only that, but you have an idea of what specifically they are struggling with. 3) Exit tickets keep students engaged and responsible. If students know that they are going to have to show you what they know at the end of the period, they are less likely to tune out. You never know when something will be said that is on the end of class assessment. 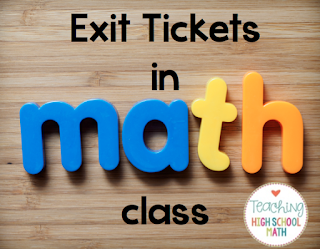 Do you use exit tickets in your classroom? 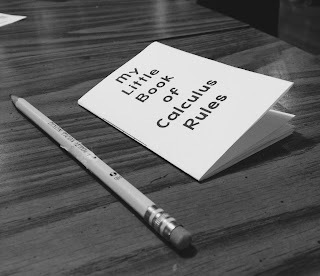 I'll be back later this week with some more information about how I use them in my calculus classroom and how I hope to incorporate them into my geometry class this year. 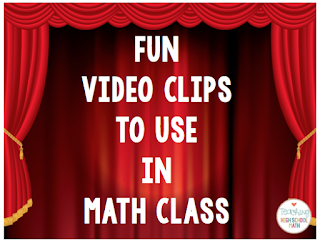 I have developed an activity that can infuse a little excitement into the classroom while students practice valuable skills. 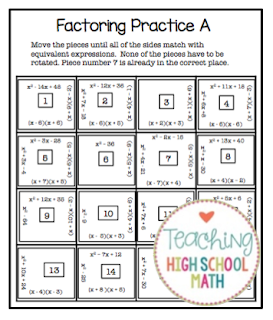 The idea in this activity is that students are given a set of problems (usually between 8 and 10) that help them practice a very specific skill. 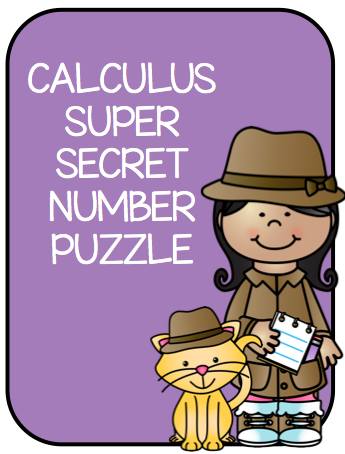 But, just for you blog reader, I have a bonus Super Secret Number Puzzle - Finding the Value of a Derivative at a Point!